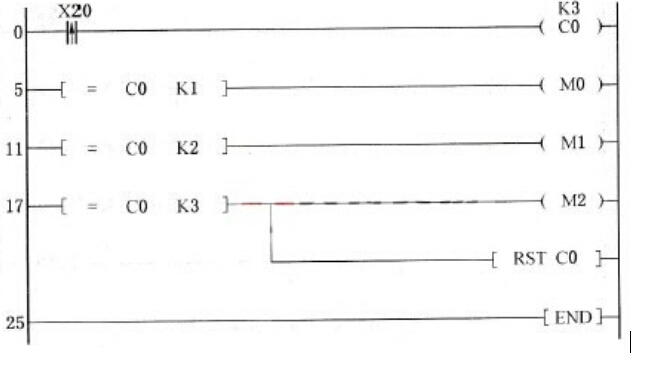 the PLC ladder diagram is used for Contact input key mechanical properties may cause some jitter. This entry was posted in plc program and tagged PLC ladder diagram, PLC Ladder Logic on July 7, 2016 by arco. * What does ADD mean in Mitsubishi plc programming? How can I report an error without finding the SSF file? The values of M8004, M8037, M8061, M8066 in PLC program? What is the difference between the usage of m8004 in fx1n and the usage of m8004 in fx3ga? What is the function of Mitsubishi FX2N series PLC M8000-M8255? What is the role of m8000 in Mitsubishi plc? What does M8000-M8990 mean in the Mitsubishi series PLC?